The perfect all-in-one bike to help your child transition from crawling, to walking, to balancing, to riding. The Trybike 2 in 1 Steel Vintage Balance Bike has been designed and developed in the Netherlands by Co&Co after many years of experience with balance bikes. They have applied their experience and selected the best materials, created the most durable construction and added stunning details as well as quality finish. This awesome Trybike is the first 2-in-1 balance bike made of steel! 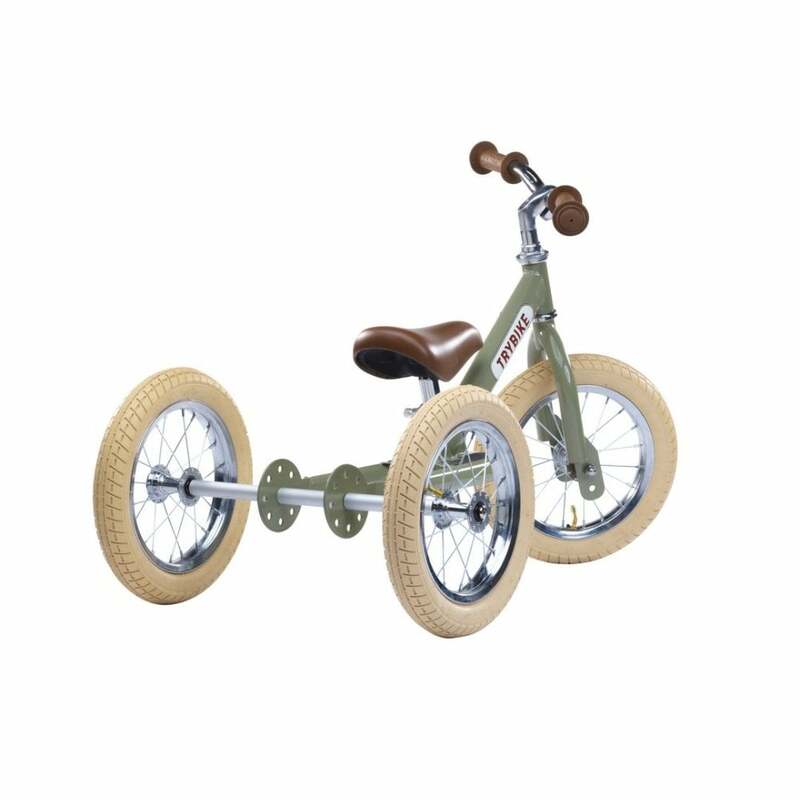 The 2 in 1 Steel Vintage Balance bike can be converted from a tricycle into a bicycle with a few simple steps. The perfect all-in-one bike to help your child transition from crawling, to walking, to balancing, to riding. Give your Trybike your own look! Each bike comes with sticker sheets with loads of designs to choose from so you can customise your Trybike as you like! Or even create a retro feel by adding a classic wicker basket to the front (sold separately). When Trybike is converted to a tricycle it is suitable from as early as 1 year to approximately 2.5 years. When Trybike is converted to a bicycle it is suitable from 2 years to approximately 6 years.